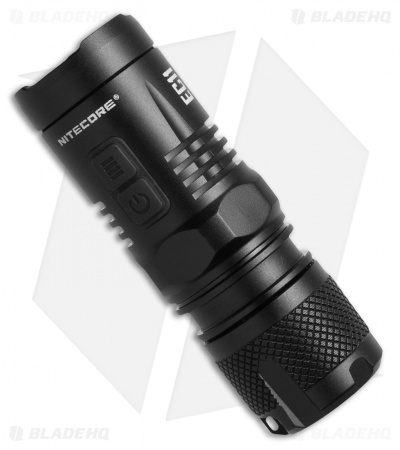 Offering versatility, a compact EDC size, and simple user-interface, the Nitecore EC11 is an optimal flashlight for a range of users. It measures in at a mere 2.95" length and is powered by a CR123 battery or 18350 rechargeable Li-ion battery. Five brightness levels and three special modes (Strobe, Location, SOS) allow specific lighting needs to be met and the addition of a secondary red LED preserves night vision and low light signature needs.